Swaddling a baby is the technique of snugly wrapping your baby in a cloth or light blanket, resembling the mother’s womb. It is believed to help soothe the newborn baby who then cries less and sleeps better. Lay out a lightweight blanket on your bed or the floor in a diamond shape. Picture a clock face. Fold the top corner (12 o’clock) down about 6 inches. Put your baby here, with her head just above the fold and her feet pointing toward 6 o’clock. Pick up the right-hand corner of the blanket (3 o’clock) and wrap it firmly over her right arm and chest, then behind her back (under her left arm). Next take the 6 o’clock corner of the blanket and pull it up over her feet, tucking it under her chin. Finally, pull the remaining corner (9 o’clock) across her body and around and under her back. Done! For a few dollars you can purchase a swaddler or sleep sack that zips. These may be more practical than using a regular blanket because they allow your baby to be swaddled with his/her arms close to the body thanks to the velcro flaps sewn in to the sack. Remember: never swaddle and put your baby to sleep on his or her stomach! Place your baby on her back to sleep, and monitor her to be sure she doesn’t roll over while swaddled. Do not have any loose blankets in your baby’s crib. A loose blanket, including a swaddling blanket that comes unwrapped, could cover your baby’s face and increase the risk of suffocation. Keep your baby’s crib free of bumper pads, soft bedding, wedges, toys, pillows and positioners. Your baby is safest in her own crib or bassinet, not in your bed. Swaddling can increase the chance your baby will overheat, so avoid letting your baby get too hot. The baby could be too hot if you notice sweating, damp hair, flushed cheeks, heat rash, and rapid breathing. Consider using a pacifier for naps and bedtime. 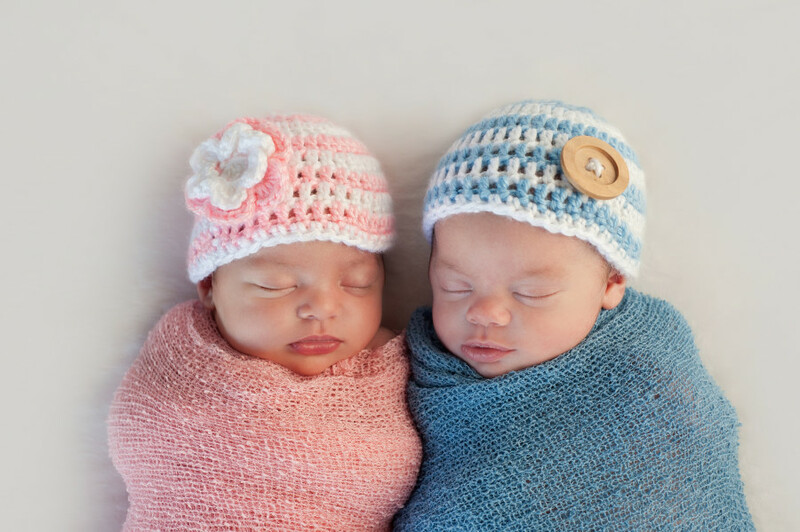 Several studies have been conducted to assess whether swaddling increases the risk of SIDS. One British study found that swaddling increases the risk of SIDS but the researchers did not distinguish between swaddled babies who were left to sleep on their backs versus their stomachs. In a 2011 study of 103 inner-city U.S. parents, none reported putting their babies to sleep on their stomachs when they swaddled, whereas 9 percent of parents left unswaddled babies on their stomachs. (A few parents did leave their swaddled babies on their sides, though, which isn’t good because they could accidentally roll onto their stomachs.) When a 1994 New Zealand study tried to separate out all possible bedding-related factors that contribute to SIDS, it concluded that tight swaddling significantly decreases the risk of death. What’s the Difference Between an Umbilical Hernia and an Inguinal Hernia? Identical Twin Cousins? How Is That Possible?